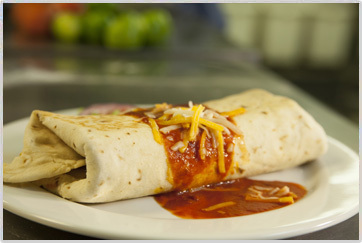 KayTahRing offers the finest catering services in Albuquerque. When we cater to your guests, whether it’s a wedding, a corporate or social event, you can rest assured that we are taking care of all the fine details, and you can spend your time entertaining your guests. Our elaborate menus and theme based arrangements will not only impress, they will be referring to your party or get-together for a long time to come. Talk about the food spread, cutlery or decoration, we leave nothing to chance. Everything will be discussed with you and be the best within your assigned budget. We have been the caterers of choice to an increasing number of discerning people - join them and see the difference. Our tortillas, hoagies, and tortas are made fresh in house daily, we use local ingredients, wherever we can. Our flour is unbleached and organic, pinto beans from Estancia, NM, black beans and green chile are organic. We use a local south valley farmer for our pork, and our chicken and canola oil contains no gmo. We only use eggs from cage free chickens.